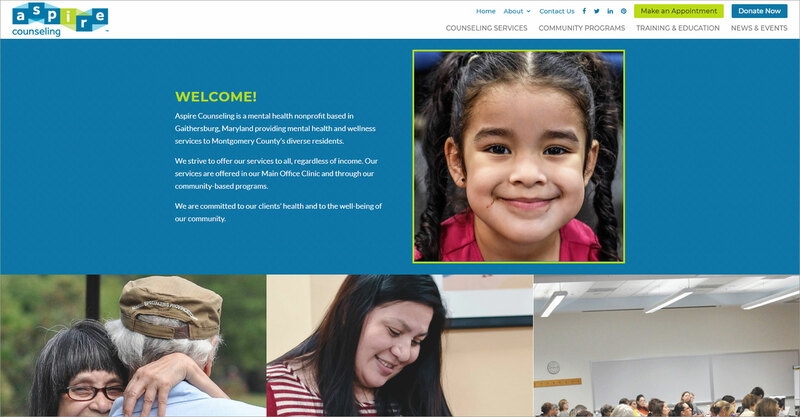 Aspire Counseling is non-profit counseling service based in Gaithersburg, MD. 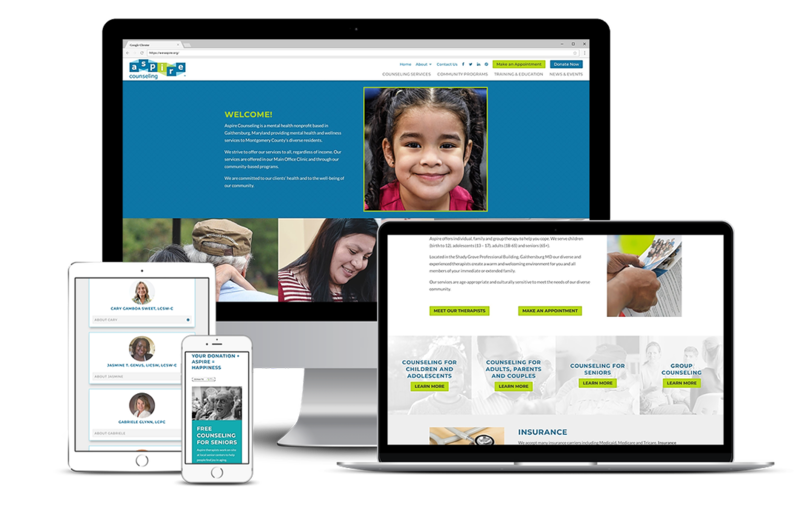 This website was built with the Divi theme from Elegant Themes and included custom graphics, a blog, and a special “Stories of Recovery” page. Jessica is incredibly efficient. She seems to understand exactly what you need. We are extremely happy to have found her. Her level of service is above and beyond.